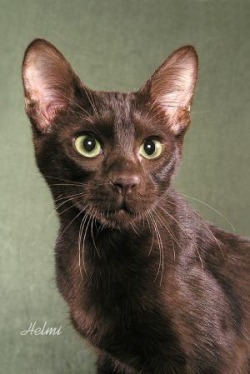 Pineneedle is a pale brown tom with green eyes. He is very loyal to StarClan and receives many dreams from them. As a medicine cat Pineneedle is forbidden of a mate, but he may possibly want one in the future! 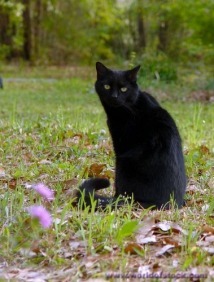 Blackstar is happy to have such a loyal cat in his clan!! Doveflower would like a mate. She is a white siamese with brown points and blue eyes. Her loyalty to StarClan is strong! Brakenfur wants a mate. 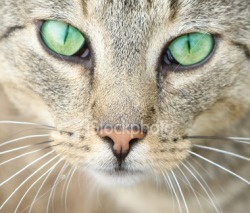 Brakenfur is a brown tabby, with sharp blue eyes. Brakenfur is small, strong, good at adventuring, loyal, kind,and was oncekittypet. She is still very loyal to StarClan! Bramblepelt wants a mate! He is very loyal to StarClan and his Clan! He is a light brown/orange tortoiseshell. Leafdapple is a female and she believes in StarClan. She is a dark orange tabby with faint stripes. She has green eyes and is fierce. She is a troublemaker and will challenge any rule, but is still loyal. Darkness is the key. Blessedpaw wants a mate once she is older. She is a gorgeous tortoiseshell she-cat with unusual red eyes. She is extremely loyal to StarClan!! Darkpaw wouldn't mind having a mate once he is older. He is jet black with green eyes. Darkpaw is very loyal to StarClan! 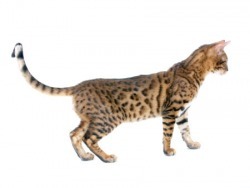 Leopardpaw is a femal and is too young to have a mate just yet. No one should question her loyalty. She is very fierce, but is kind to her Clan mates! Hawkpaw is a female and would possibly want a mate in the future. She is very loyal to StarClan. 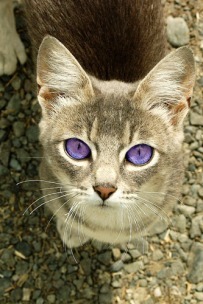 She is a brown tabby she-cat with violet eyes. She is small for her age but she is tough, really tough. She is cute on the outside but fierce on the inside, she's different from the other she-cats. Blackpaw is a male and wants a mate once he is older. He is currently 10 moons old. He is very loyal to StarClan. Blackpaw is black with tan flecks. He has Green eyes and hates picking ticks and fleas from the elders. Blackpaw wants to be the strongest and most elitewarrior in ShadowClan. 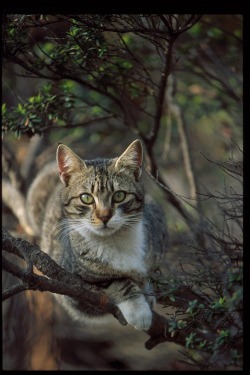 Has a crush on Stripedpaw of ThunderClan. He can kind of fish and swim. 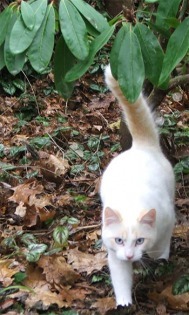 Runningtail is a white she-cat with black socks and muzzle. Her mate is Thundertail and Runningtail is expecting kits. She is so very loyal to StarClan!! Whiskerkit is a female and is too young to have a mate. She is very loyal to StarClan. 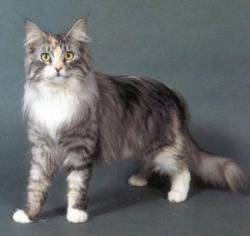 She is a dark brown maine coone with thoughtful gray eyes. She would like to become a apprentice very soon.